One of the biggest drug kingpins in the world had been on the lam for almost half a year. That all ended on Friday when he was caught in his home province of Sinaloa, Mexico at the quiet coastal city of Los Mochis. Authorities were tipped off about where Joaquin "El Chapo" Guzman had been hiding by one of his own workers, reportedly a tunnel digger for the legendary drug lord. What really led officials to Los Mochis was Guzman's Hollywood desires. Despite hiding from the law, El Chapo wanted a biopic made about him and had been in discussion with actors and producers about a movie. 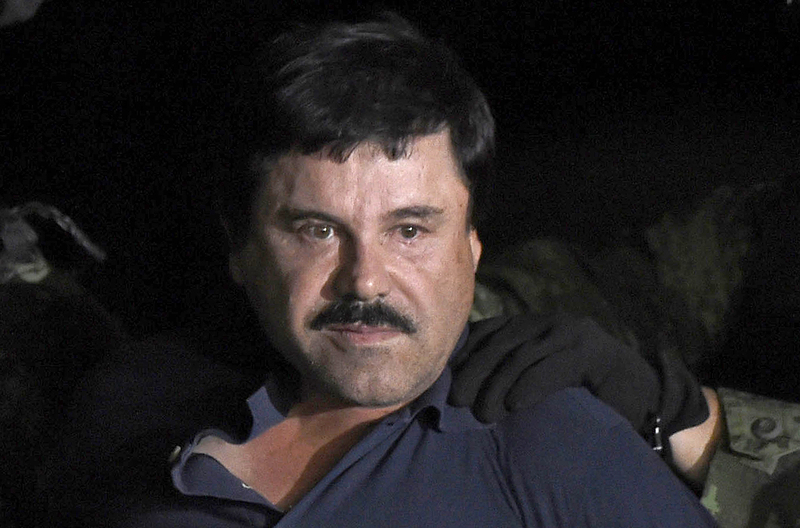 Ultimately, it was El Chapo's big screen dreams that led authorities to him. When he escaped from prison, he tried to establish contact with producers and actors through intermediaries, which ultimately tipped off authorities. Not that it wouldn't make a good story — El Chapo's life story is a rather interesting one. He came from very humble beginnings, growing up in La Tuna de Badiraguato, just 124 miles from where he was captured. His father's drug peddling may have inspired Guzman to pursue a similar venture. Guzman helped found the Sinaloa drug cartel after ascending the ranks and was considered the group's head honcho, especially when it came to innovation. The elaborate tunnels that helped him escape jail this second time as well as transport drugs have become something of legend in their own right. Guzman undoubtedly saw the value in his unique story despite the seriously illegal backdrop of moving illicit substances across the country of Mexico and beyond. Guzman was actively working to evade authorities, though he was never completely silent as he traveled around Sinaloa with his family from July until early January. A Twitter account reportedly run by his sons issued a tweet against Republican presidential candidate Donald Trump shortly after Guzman had escaped from Altiplano prison. The drug lord didn't have a lot of kind things to tweet about Trump, whose proposed immigration plans have drawn ire on both sides of the border. Social media played a factor in a few moments where authorities may have been able to trace back information to Guzman's whereabouts, such as when one of his sons tweeted out there location while at lunch with his father. His time on the run that was spent with his family came to an abrupt end on Friday, when authorities located him in Los Mochis. Mexican Marines and law enforcement descended on Guzman's house and soon found themselves in a shootout. Five were reportedly killed as a result, though none of those fatally shot were reportedly on the side of the law. A marine was injured as well. This harrowing scene will undoubtedly make for engaging theater if El Chapo does, in fact, get his way and a movie is made about him. He just may be stuck enjoying the premier behind bars rather than on some type of red carpet.